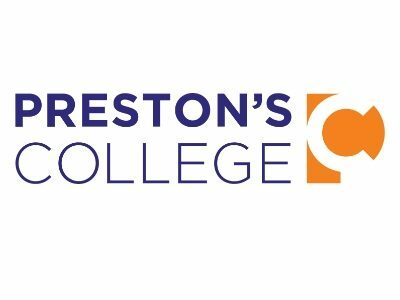 The provision of skills and training in the Preston and central Lancashire area can often seem confusing and this is what makes the strength and breadth of offer from Preston’s College so vital – we are a high quality one stop shop. The other aspect which comes out time and again from business surveys across a variety of sectors is that whilst young people will have the technical qualification, they often lack the basic skills to understand what it means to be in the workplace. To this end, Preston’s College offers a whole range of vocational and academic training and skills development and have positioned ourselves as an Enterprising College – the central vision for which is that we want to be known for genuinely helping to create THE most employable learners. What this means in practice is that we fully recognise that the qualification alone is not enough and therefore we create a range of opportunities for developing work experience, including working on live industry briefs and for developing skills like team working and problem solving. We believe that this is how education and training will truly meet the needs of employers. Working closely with employers on valuable work placements, young people also get the opportunity to develop industry skills that will enable the transition into work much easier for both young people and employers. A significant part of our work with employers is about understanding their needs through research and consultation to ensure the curriculum we provide is fit for purpose. As a College we believe we are large enough and flexible enough to be able to provide whatever training is required to give students the best opportunity to gain employment and have delivered this with a number of notable employers including the NHS, Morrisons, Waitrose, Holiday Inn Express, Primark, Royal Mail, and Dr.Oetker among others. Don’t forget to invest in your people! And we would say that wouldn’t we, but you can have the best processes, systems and infrastructure in the world but they will all count for nothing if you don’t have passionate, motivated and skilled staff to use them to the advantage of your business. Lancashire has all the ingredients to help to grow a business. From high quality educational institutions turning out skilled and trained people through to a thriving and diverse business sector with good connectivity to major metropolitan areas, and the social life and countryside to deliver that all important ‘work-life’ balance, we believe you shouldn’t grow a business anywhere else! Boost’s aims and ethos is very similar to that of Preston’s College. We want to help Lancashire and its business economy grow and meet its potential by equipping people with the skills and training they need to meet the needs and add value to local businesses, working with those businesses who want to achieve growth is a great way to make this happen.